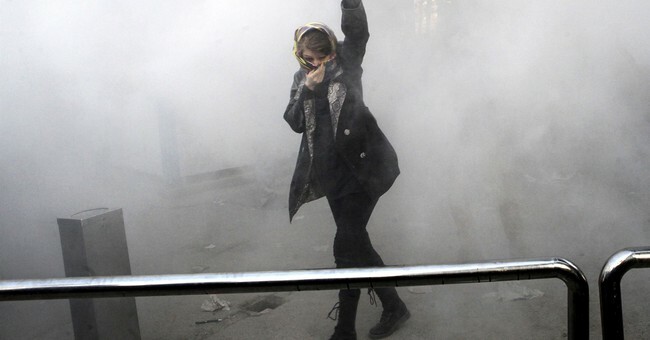 As the Iranian regime continues brutal crackdowns on protestors in cities across the country, the White House is again expressing support for those on the ground raising their voices. The statement comes after news the administration plans to continue easing sanctions on the Iranian government (with new conditions) and as a deadline looms on a recertification of the Iranian nuclear agreement. President Donald Trump is expected this week to extend relief from economic sanctions to Iran as part of the nuclear deal, citing progress in amending U.S. legislation that governs Washington’s participation in the landmark accord, according to U.S. officials and others familiar with the administration’s deliberations. But Trump is likely to pair his decision to renew the concessions to Tehran with new, targeted sanctions on Iranian businesses and people, the six people briefed on the matter said the restrictions could hit some firms and individuals whose sanctions were scrapped under the 2015 nuclear agreement, a decision that could test Tehran’s willingness to abide by its side of the bargain.